An FHA mortgage is available to anyone who financially qualifies and is not restricted to first-time home buyers or those who have never owned property before. Like VA home loans, and USDA mortgages for rural areas, the FHA mortgage program is a government-backed home loan. 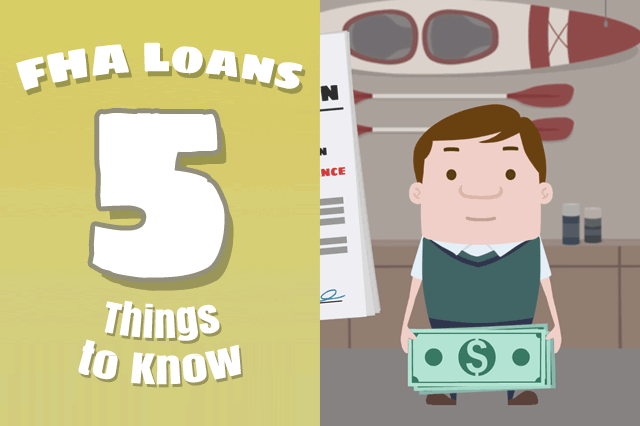 November 26, 2018 - There are five important areas you should remember about FHA home loans when trying to decide the best mortgage for you. Remember that an FHA mortgage is available to anyone who financially qualifies and is not restricted to first-time home buyers or those who have never owned property before. Like VA home loans, and USDA mortgages for rural areas, the FHA mortgage program is a government-backed home loan designed to help borrowers get into affordable homes with a lower down payment requirement. The reason FHA mortgages come with a lower interest rate? Do a quick search online and you’ll find best-execution mortgage loan interest rates all over the internet for FHA, VA, and conventional loans; government backed loans have a lower best execution rate because there is a reduced risk involved thanks to the government guaranty. The actual down payment and interest rate issues you’ll discuss with your loan officer depend greatly on your credit scores and history. Your FHA mortgage lender will negotiate interest rates with you based on your FICO score; if you are worried about your scores it’s best to work on your credit before applying for the loan for best results. Your FHA mortgage loan options including having a home built for you using plans you approve thanks to the FHA One-Time Close construction loan. Your home loan options also include the ability to buy a fixer-upper using an FHA Rehabilitation Mortgage. You can also refinance an existing mortgage and get money to do approved renovations using a refi version of the FHA Rehabilitation Mortgage, also known as an FHA 203(k). Don’t expect to make luxury additions to your home with this loan (swimming pools, tennis courts, barbecues, etc.) since all projects must be approved and FHA loan rules don’t allow these add-ons. In some cases existing so-called luxury features of the home may be repaired or upgraded for safety, but not installed as a new feature. Your seller cannot contribute money toward a borrower’s down payment, but the seller IS permitted to contribute up to six percent of the asking price of the house for sale in the form of seller-paid closing costs. You are permitted to buy a one-to-four unit property with an FHA mortgage but the requirements for these loans include occupancy. Don’t expect to purchase a home with an FHA Single-Family mortgage loan you don’t intend to personally occupy. At least one borrower obligated on the FHA mortgage is required to occupy the property (regardless of size) once the loan has closed.